The adorable Fiat 500 has officially been on sale in Canada for a few months now and is selling relatively well. And while the little Italian bug is fairly impressive in its current form, it’s leaving us performance enthusiasts begging for a hotted up version like Mini has with the John Cooper Works edition of the Mini Cooper. Abarth is Fiat’s main tuning company and they are mostly famous for injecting performance in the 500. 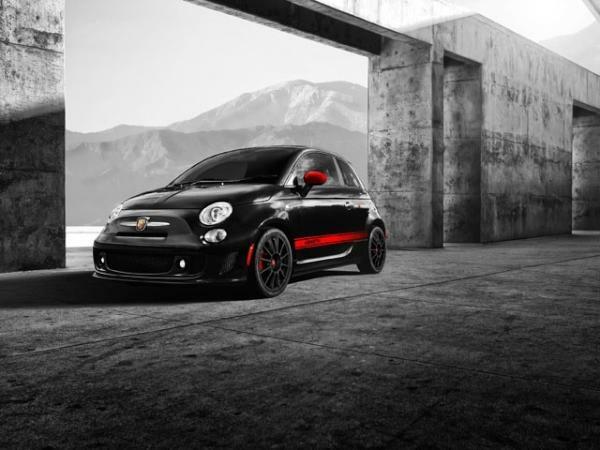 Fiat has hinted for a while that the 500 Abarth will come to Canada, but now it’s officially confirmed. There are few details about what the North American version of the Abarth 500 will look like, but it’s confirmed that a new 1.4 litre MultiAir turbocharged 4 cylinder will be the unit of choice from Abarth. It’s estimated that it will produce anywhere between 130 horses to 160. That may not sound like a lot but considering the 500’s size and weight, there will be no shortage of elevens it could produce on the tarmac. In addition, the 500 Abarth will get upgraded brakes, a fully revised suspension along with a host of performance enhancing technologies complete with a more aggressive look. The pic above is what our North American version will look like. The 500 Abarth will officially make its North American debut at the LA Auto Show this year and we’ll likely have a better sense of the specs then. In addition to the Abarth, there will be three other versions of the 500 that will be made available for Canada: a cabriolet, a five door and an all-electric three door.